Scania is attending Busworld to demonstrate its range of hybrid and battery electric vehicles for urban public transport. Scania has unveiled the hybrid Scania Interlink Low Decker bus and premiered the battery electric Scania Citywide bus at the Busworld event in Kortrijk, Belgium. With the addition of hybrid technology, Scania now meets the entire scope of alternatives for suburban and intercity operations. The Scania Interlink Low Decker is presently available for diesel, biodiesel, HVO, CNG/CBG, ethanol and, with the latest addition, hybrid. It complements the Scania Citywide Low Entry Suburban, which is also available for the full range of alternative fuels as well as in a hybrid mode. “The accelerating urban growth in the world is largely rapid suburbanisation rather than expanding city centres. That means longer commuter trips to work and, in fact, suburban public transport presently consumes three times more fuel than city centre transport. Thus, we need a greater focus on finding non-fossil alternatives for these journeys,” says Karin Rådström, Head of Buses and Coaches at Scania. 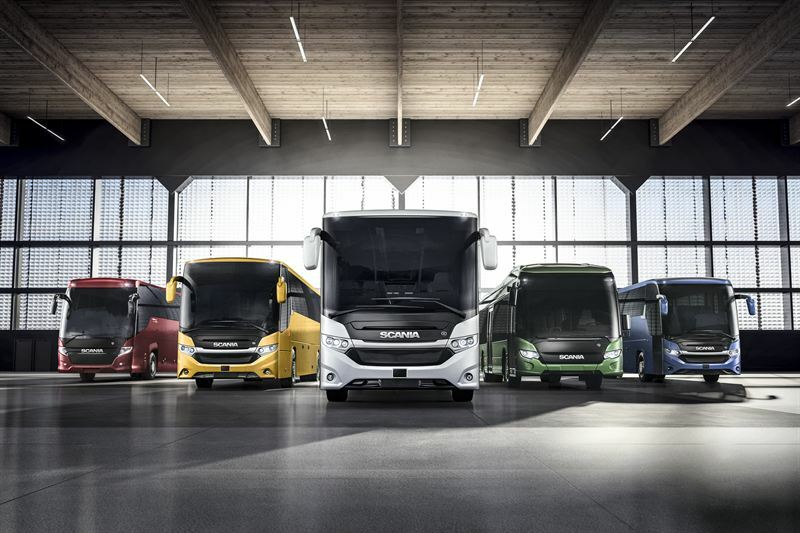 Scania has also premiered its battery electric Scania Citywide Low Floor bus at Busworld. This bus will go on sale in 2018.